Marley Groat's shot beats the buzzer and the Dragons remain unbeaten. 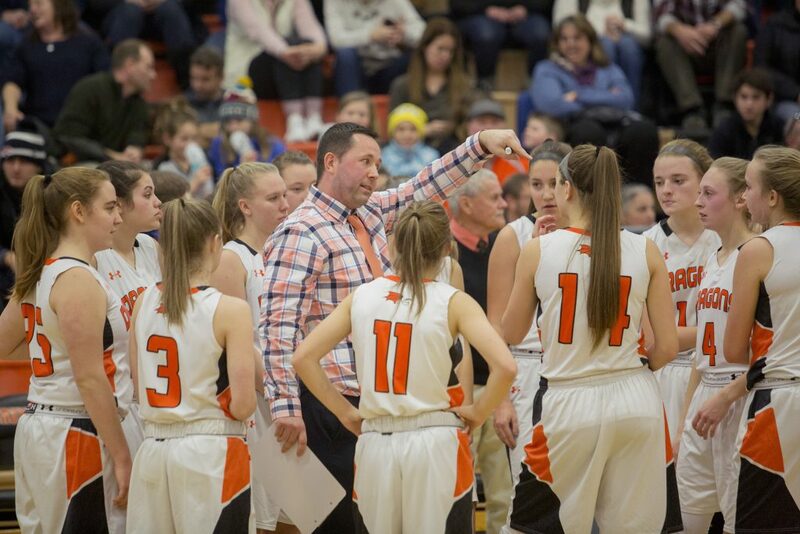 BRUNSWICK — Marley Groat flung up a 3-point shot with one second left that went in Friday to lift unbeaten Brunswick to a 65-63 win over Greely in a Class A South girls’ basketball game. 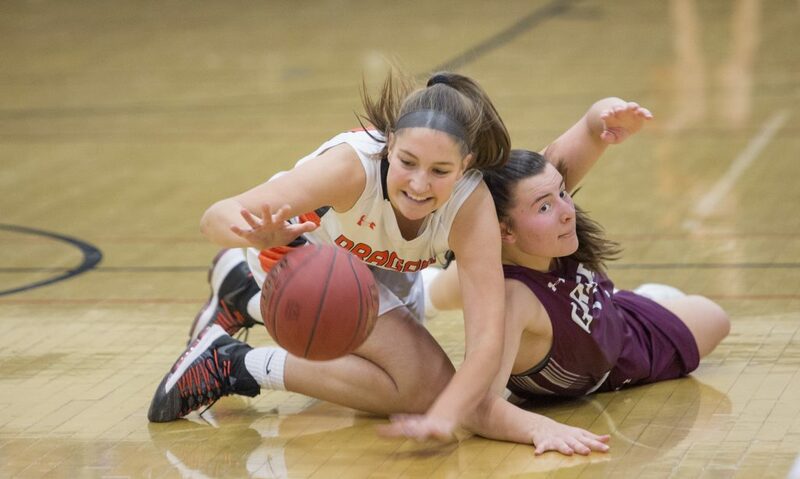 “There was just a lot of adrenaline going, and I knew I had to get the last shot off so I threw it up and it went in,” said Groat, a junior point guard who finished with 17 points. 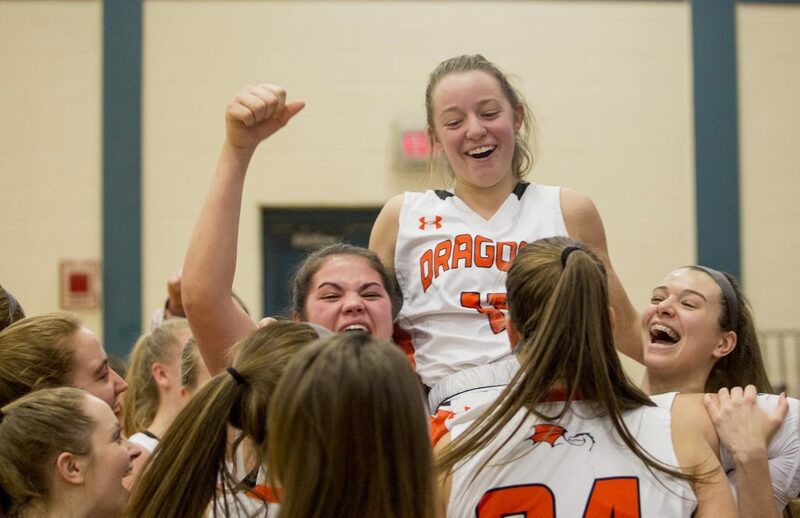 Junior point guard Marley Groat gets the hero's welcome from her teammates after hitting the winning shot, giving her 17 points for the game and lifting the Dragons to a 6-0 record. Groat’s shot came at the end of a second half that saw momentum swing nearly every minute. Charlotte MacMillan scored 18 points to lead the Dragons, who made 14 3-pointers. Sabrina Armstrong added 15 points and Emily Larochelle had 13. 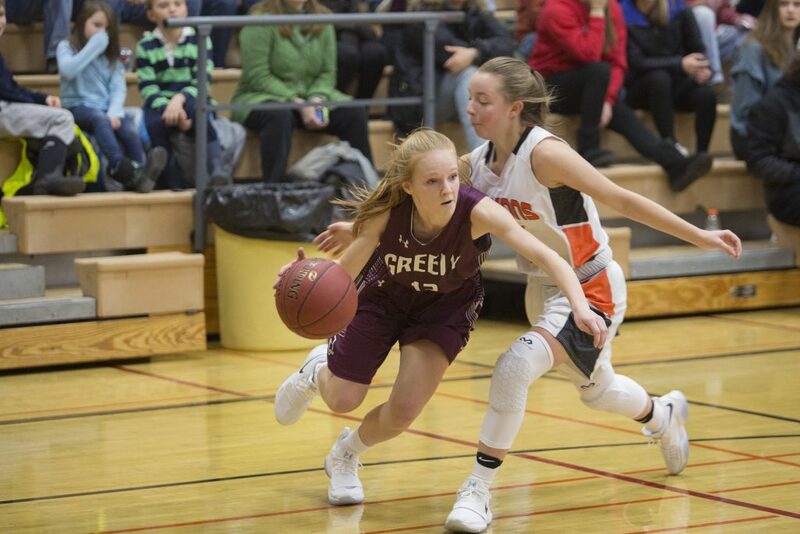 Camille Clement scored 28 points for Greely; Brooke Obar had 19 and Madison Scott added 11. The Rangers (4-2) played without junior guard Anna DeWolfe, who is sidelined by an ankle injury. Brunswick (6-0) got off to a great start, hitting four of its first five shots to take a 13-3 lead. The Rangers made just 2 of 14 shots in the first quarter and the Dragons led 16-7 heading into the second. The Rangers opened the second quarter with a 16-5 run. They took the lead for the first time when Scott put in a fast-break layup to make it 23-21 with three minutes left. The Rangers, who sank 9 of 10 free throws in the second quarter, finished the half with an 8-0 run to take a 31-24 lead. After the Dragons opened the third quarter with an 8-0 run to regain the lead, momentum seesawed. In the third, the score was tied or the lead changed nine times. Brunswick took a 50-49 lead when MacMillan scored a layup off an inbounds play with 22 seconds left in the quarter. 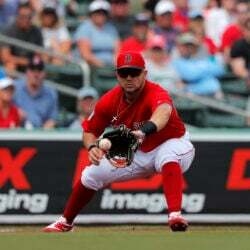 Momentum continued to swing in the fourth. The Dragons took a 55-51 lead with 6:30 left when Groat drove the lane for a basket, then hit a 3-pointer. Less than a minute later, the Rangers tied it on Clement’s three-point play. Larochelle gave Brunswick a 59-56 lead with 5:24 left when she hit her fourth 3-pointer of the game. 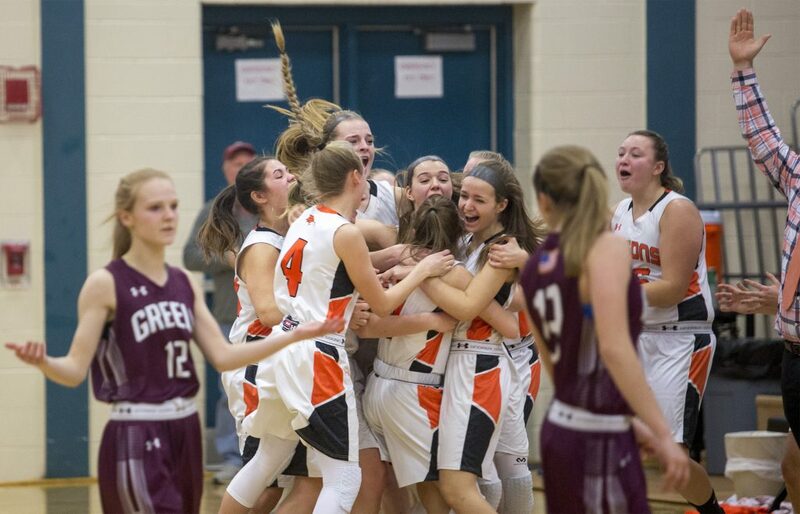 Greely than ran off seven points and led 63-59 with 23.5 seconds left. Armstrong made it a one-point game with her third 3-pointer with less than 20 seconds left. Clement was then fouled with 5.1 seconds left but missed the first free throw in a 1-and-1 situation. 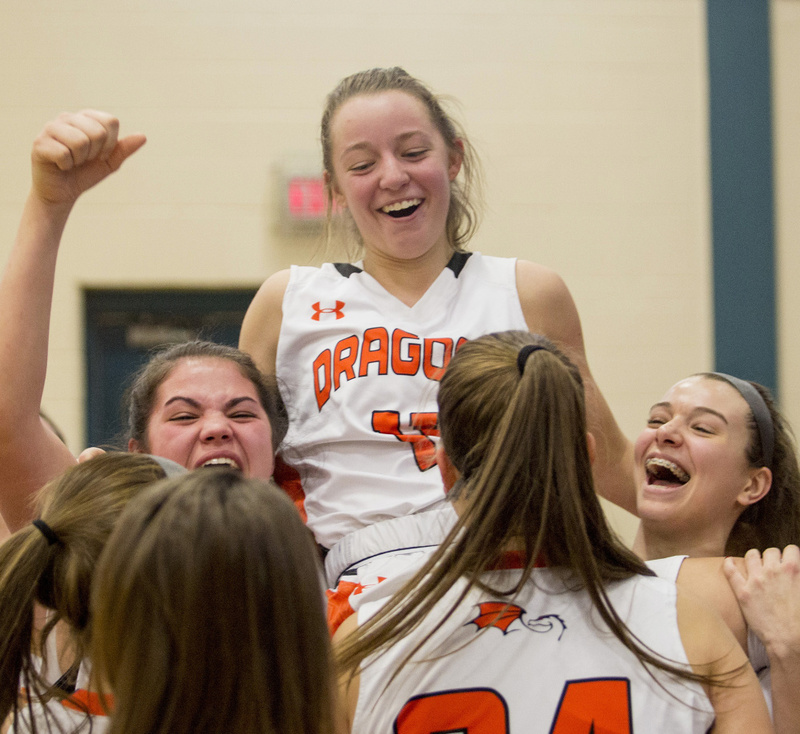 Groat quickly dribbled down the court and threw up a low-arching shot that gave the Dragons the win.